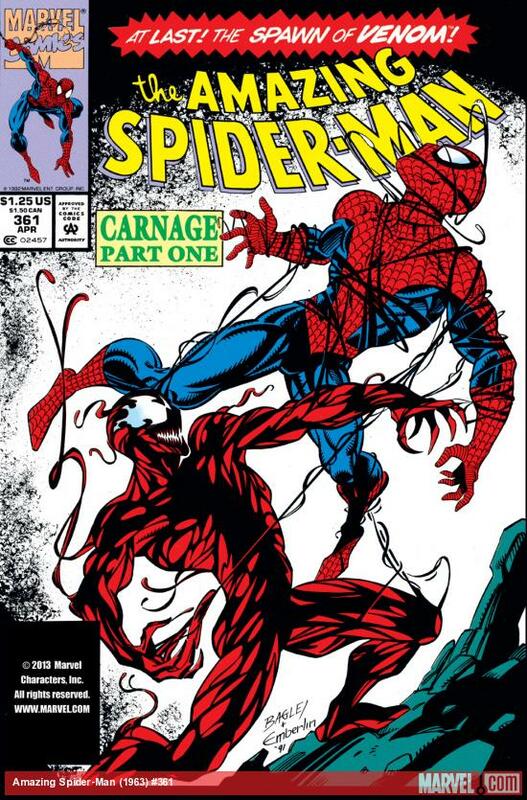 Carnage and the 14-part Maximum Carnage crossover he spawned dominated the Spider-Man titles of the early 90s. He was created by David Michelinie (also responsible for Iron Man’s multiple specialized suits and the Armor Wars storyline), Erik Larsen, and Mark Bagley (who, a decade later, would go on to draw the Spider-Man title that launched the Ultimate universe). Spider-Man has one of the best and biggest rogues galleries of any Marvel hero, and Carnage is probably the most bloodthirsty of Spider-Man’s enemies. Carnage attacks viciously and indiscriminately, clawing and slashing in every direction. Deals 603 damage to the target and 320 damage to all other allies and enemies. Level 2 - Deals 840 damage to the target and 411 damage to others. Level 3 - Deals 1069 damage to the target and 503 damage to others. Level 4 - Deals 1553 damage to the target and 731 damage to others. Level 5 - Deals 2476 damage to the target and 914 damage to others. Max Level - Carnage attacks viciously and indiscriminately, clawing and slashing in every direction. Deals 4903 damage to the target and 1808 damage to all other allies and enemies. 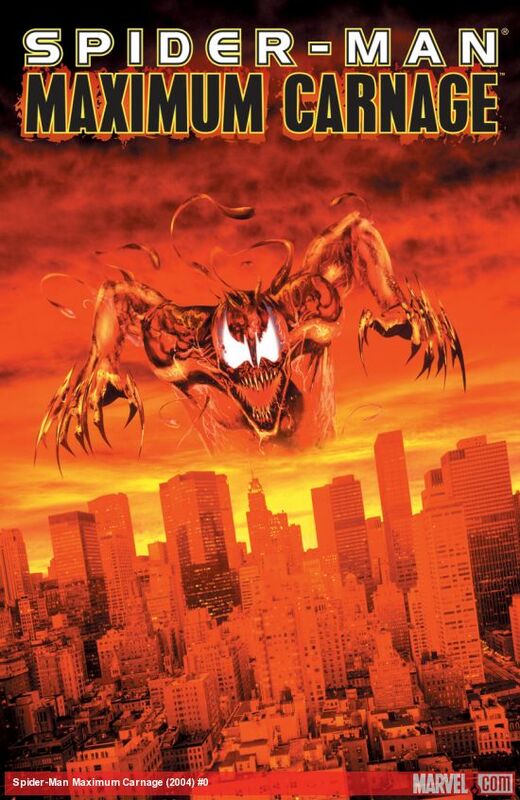 (PASSIVE) Carnage's alien symbiote keeps him in a constant frenzy! Whenever a power is fired, Carnage creates 2 friendly strength 47 Attack tiles and 2 enemy strength 46 Attack tiles. Level 2 - Creates strength 50 friendly tiles. Level 3 - Creates strength 52 tiles. Level 4 - Creates strength 58 friendly tiles. Level 5 - Creates strength 70 friendly tiles. Max Level - (PASSIVE) Carnage's alien symbiote keeps him in a constant frenzy! Whenever a power is fired, Carnage creates 2 friendly strength 137 Attack tiles and 2 enemy strength 90 Attack tiles. 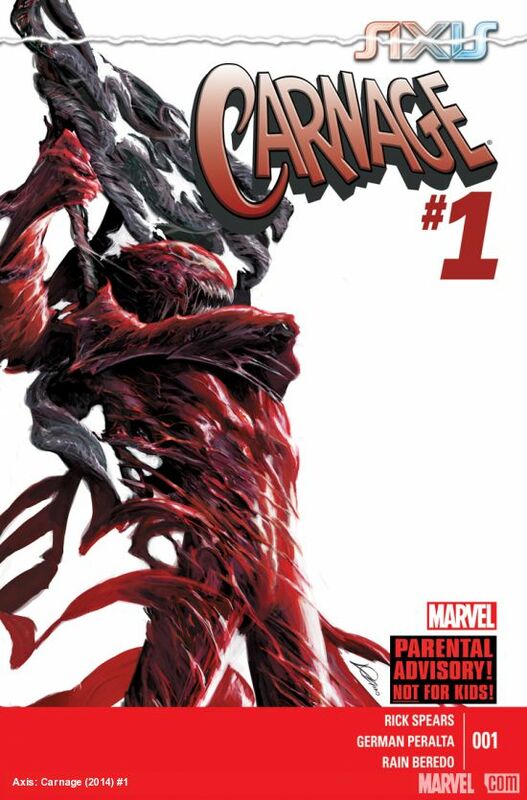 Carnage unleashes a torrent of piercing tendrils! Destroys 6 random tiles, dealing an additional 228 damage for each special tile destroyed. Does not generate AP. Level 2 - Destroys 8 random tiles. Level 3 - Destroys 10 random tiles. Level 4 - Destroys 12 random tiles and deals 283 additional damage for every special tile destroyed. Level 5 - Destroys 16 random tiles and deals 328 additional damage for every special tile destroyed. Max Level - Carnage unleashes a torrent of piercing tendrils! Destroys 16 random tiles, dealing an additional 651 damage for each special tile destroyed. Does not generate AP. Our first goal when designing a new character is to capture what makes this character unique. 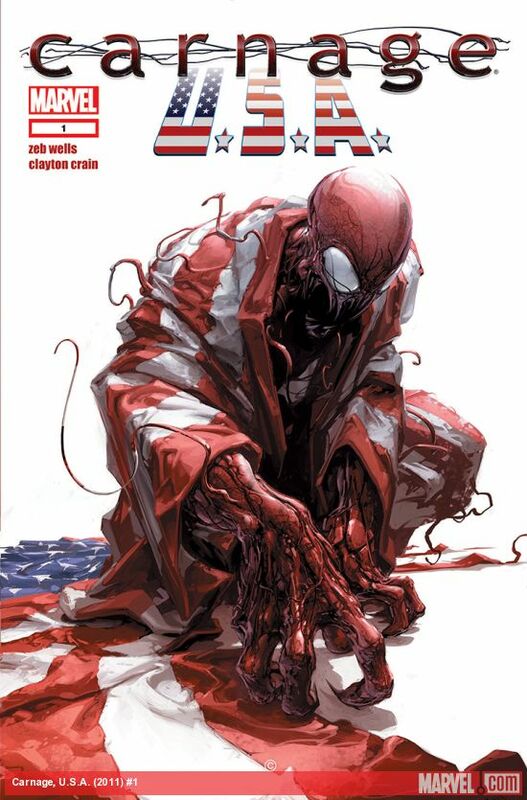 What makes Carnage Carnage? He’s super scary, psychopathic, unpredictable, and does not play well with others. So his abilities are indiscriminate: while he’ll do big damage to the enemy you tell him to attack, he’ll also damage everyone else. And whenever anyone activates a power, the battlefield gets more dangerous for everybody, filling with his Attack tiles. Those special tiles fuel his Carnage Rules power, which destroys random tiles and deals bonus damage based on how many of those tiles were special tiles - but you’re just as likely to be destroying your own special tiles as your enemy’s. When we introduce a new character, we’re also looking for interesting gameplay that we haven’t explored yet. There are a number of characters with complex tricks at the 4-star level, so with Carnage, we were aiming for something more straightforward that still lent itself to interesting tactics. We’ve got a whole bunch of powers that have better synergy with less expensive powers than more expensive ones: anything that makes Strike tiles, passive powers that fire in response to other powers (like those of Professor X and Kamala Khan), and Star-Lord’s Everyone With Me. More expensive powers are more powerful, AP for AP, but with all those synergies that inexpensive powers have, we’re on the lookout for characters that are better at countering cheap powers than expensive ones. Alien Instincts fills this niche: when facing Carnage, it’s better to take him down with one giant charged-up Repulsor Punch than a bunch of smaller Wilson’s Gambits. 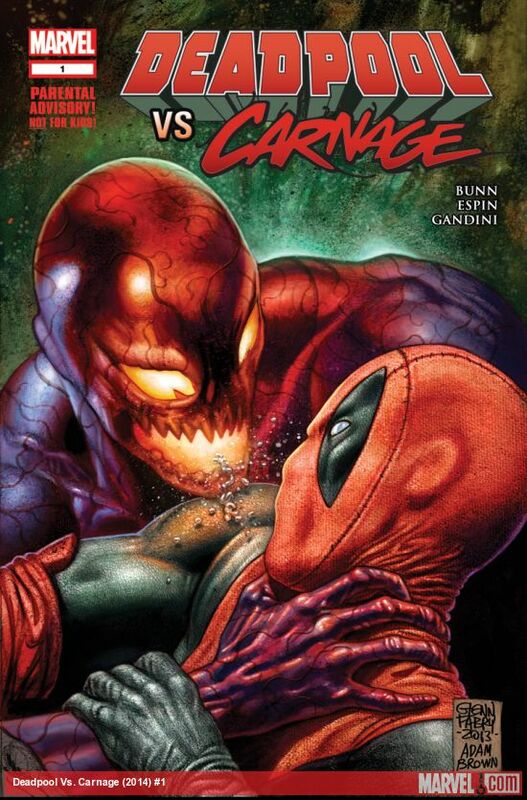 You might want to pair Carnage with characters who can heal themselves, like Deadpool or Wolverine, or characters with a beefy health pool like Iron Man (Hulkbuster) and Thor (Goddess of Thunder), who can shrug off the effects of Symbiote Scythes or Alien Instincts. He’s also a good partner for characters that generate special tiles to fuel Carnage Rules - especially someone like Elektra or Wolverine (Patch), where some of the special tiles you’re destroying are going to belong to the enemy, or someone who creates a ton of weaker special tiles like Falcon or Storm (Mohawk) . Check out some posters of Carnage's abilities and the background of the Carnage PvP event! We have provided them in a few formats so that you are able to view them on whatever device you have. Most fatal epic character in this game I think.I want him to my roster! Awesome I can’t wait til he comes out!! Cúanto cuesta? o es un regalo? How much is it?? or is it a give? No news about Puzzle & Glory? If it’s as good as Marvel Puzzle Quest, I’m gonna play it. You guys at Puzzle Quest seem pretty convinced that Carnage was around in 1963. May want to do some fact checking. Btw, it also appears this way in the game. Tim, that’s the way Marvel lists their comics. 1963 is when the title/volume was launched, not when the issue came out. This is the mind blowing use of this command working website and you will experience a new information technology then you are join the best where command prompt windows 10 of the best working website you are enjoy the any time and anywhere and any time. I love your red Venom design. Do check out this amazingVenom t-shirt collection. Check rootmasterapk here which is latest. Apex is the newly released battle game where you can make your team to destroy your enemy.There are lots of Apex Legends Weapons which you can use for the battle. This spiderman character is looking very cool. I really liked that. Impressive work by you people which is impressive.